Chivas Brothers, the Scotch whiskey and premium gin unit of France-based Pernod Ricard, is planning to triple production capacity at its Glenlivet Distillery. 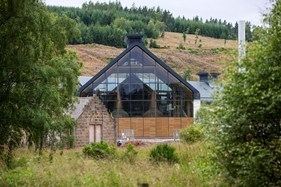 The company had applied to the Cairngorms National Park Authority for permission to build new facilities and upgrade existing facilities at Glenlivet site near Ballindalloch on Speyside. Work under the proposed expansion includes the construction of a new building to house distilling operations, a new tank and equipment area, groundworks and landscaping, a replacement bioplant, new pipework, new site access, alterations to the existing feed plant and new surface water arrangements. Commenting on the expansion, Cairngorms National Park Authority planning officer Katherine Donnachie said : “Planning conditions have been attached to the consent with regards to details of discharge and abstractions at the River Livet and to ensure that measures are taken to protect European protected species.